« Santa Claus Time Lapse Videos! 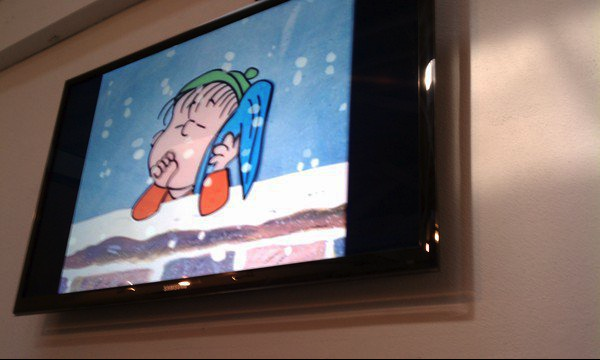 Poe popped the Charlie Brown Christmas special on while the tech team coded today and Anthony nabbed the snapshot. Anyone not working here is now officially jealous. This entry was written by paulhanges and posted on December 16, 2010 at 1:45 pm and filed under Behind the Scenes, Inside JibJab. Bookmark the permalink. Follow any comments here with the RSS feed for this post. Trackbacks are closed, but you can post a comment.